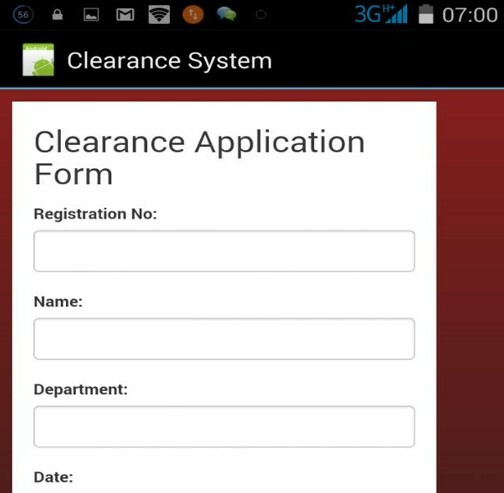 An Android-based online clearance system is a research work that will help build an effective information management for schools. It is aimed at developing a system for making clearance after graduation. 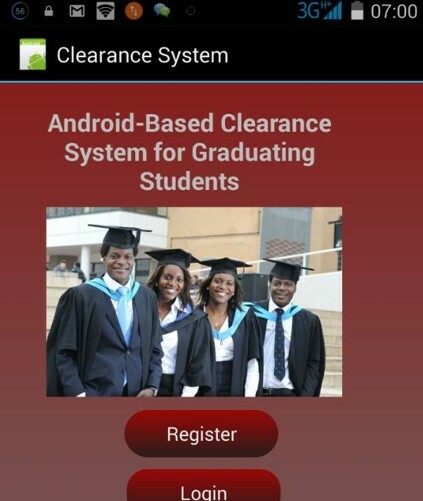 The designed android application will serve as a more reliable and effective means of undertaking students clearance, remove all forms of delay and stress as well as enable you understand the procedures involved as well as how to do your clearance online. 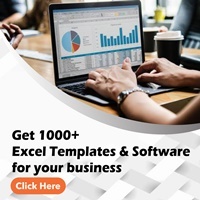 This project work made use of data collected from the University, materials and journals from various authors and an android application was developed to effectively achieve the aims of this project. In this project, the implementation of the computer-based system was carried out using PHP, JAVA, SDK, and MYSQL for the database. In conclusion, the work met all the objectives intended. It is, however, recommended for use by all tertiary institutions. In Universities like Redeemer's university Ede, there is need for automated method of keeping data, more so a greater need for an online Android-Based clearance system. This would go a long way in alleviating the various problems and stress involved in the manual method of clearance. Moreover, the issue of delayed youth service as a result of inability to complete the tedious manual process of clearance would be curtailed. For a graduating student to carry out his \ her clearance from all these departments, it normally takes a lot of time and a lot of processes and delays in clearing the student for youth service as well as collection of statement of result. Hence it became imperative for an online android-based clearance system to eliminate the shortcomings of the manual system in place. To effectively and efficiently process students clearance using an android phone. To provide borderless access at any time. This research work is limited to clearance system for graduating students from Caritas University. The android application developed will be carried out using JAVA, SDK, and MYSQL to manage both the database and at the same time make the application online. The project work will help in a good number of ways to ease the queuing system in the university as the android-based online clearance system will help students to achieve what ever they want to achieve without coming to the various offices for clearance. Clear advantages of Internet information processing over those of traditional manual system are higher yields. Online clearance system allows the users to check their clearance status as whether they are in any way indebted to the school, fill and submit their clearance form, and obtain their clearance letter from registered emails. There are many other advantages of online clearance system and some of them are listed below. It saves a lot of time and stress to the students and the administrators. It is very convenient to use it right from the bedroom, office or anywhere in the world. Information processing are very fast and delays can be avoided. It is inexpensive to students and school management. Help the school in reducing costs such as labor and stationary. more computers together using a communication link. Debugger: A debugger is a computer program used by programmers to test and debug a target program. Debuggers may use instruction-set simulators, rather than running a program directly on the processor to achieve a higher level of control over its execution. Java: Java is a programming language that produces software for multiple platforms. Android: Android is a mobile operating system developed by Google. It is used by several smartphones and tablets. Examples include the Sony Xperia, the Samsung Galaxy, and the Google Nexus One. iOS: iOS is a mobile operating system developed by Apple. It was originally named the iPhone OS, but was renamed to the iOS in June, 2009.
files etc, can all be exchanged in this way. containing web pages (good and commodities) on the Internet. treasure of information and entertainment.